Todays show centers around Electronic and Hip hop Music selections. Daniel Sorola and Alex Arena are a dynamic duo who aims to create a new chill ambient sound of EDM with diverse styles and themes to inspire and uplift others. The song "Deep" is one that we think most can relate to about loving someone they cannot keep, a one-sided love story. "Deep" is essentially about looking past the other lover's disguise, because of their strong feelings that they will one day love them back just as much. This song was made to build awareness and realization for everyone to love themselves and fall for an equal sided love. Alex Arena loves collaborating with as much musicians as she can, as she believes that each and every one of them has their own unique sound that speaks to her on a deeper level. She is able to write lyrics not solely on the beat of the sound, but how it brings out how she feels about certain experiences and feelings she had in life. Hugo Touma a.k.a Parian is a 20-year-old Canadian self-taught rapper & music producer. Bilingual and versatile, he performs, writes and composes trap, pop & R&B music, in English and French. Parian started singing pop when he was quite young but it was only as a teenager that he started listening to Hip-hop music. Inspired by rappers like White B, Enima and Niska, he started making his own beats 3 years ago. Getting positive feedback from fellow artists and Hip-hop fans, he started writing his own lyrics as well. Parian released two singles and one music video in 2018 through MusiqMatch. Don’t "wait for it" to happen to you. You make it happen for yourself or keep trying until it does. Seize every opportunity and be as independent as you can. This means working hard to master your skills whether in mixing, writing or rapping. Being independent as a creator is a good thing because it means you know what you want and how to achieve it. So aim towards being a complete artist, as versatile as you can. Yet keep learning from others and embracing every collaboration opportunity. Keep an open mind because music will take you anywhere and it's worth the effort. Music is everything. This is the fourth track from the album called 'Sound Machine'. An easy listening tune, it has been composed and created in lines with the Album's name. The feel of these tracks is with popular soft Techno Pop Rock Music tones and drums. The music business is quite diverse now with several genres and sub genres. Listeners preferences are also wide because of exposure via the internet. Being a musician is creating a balance between old and new sounds for maximum reach. Making these tracks has been the result several months of experimentation and am hopeful that they would be accepted. I love to create music because it's an on going learning and creative process that relaxes my mind. Artemisio Bertone known professionally as ackzz (stylized as ackzz, pronounced "axe"), is a Canadian Electronic music producer, musician, and composer from Toronto of Italian descent. Ackzz produces a variety of styles within the EDM genre. 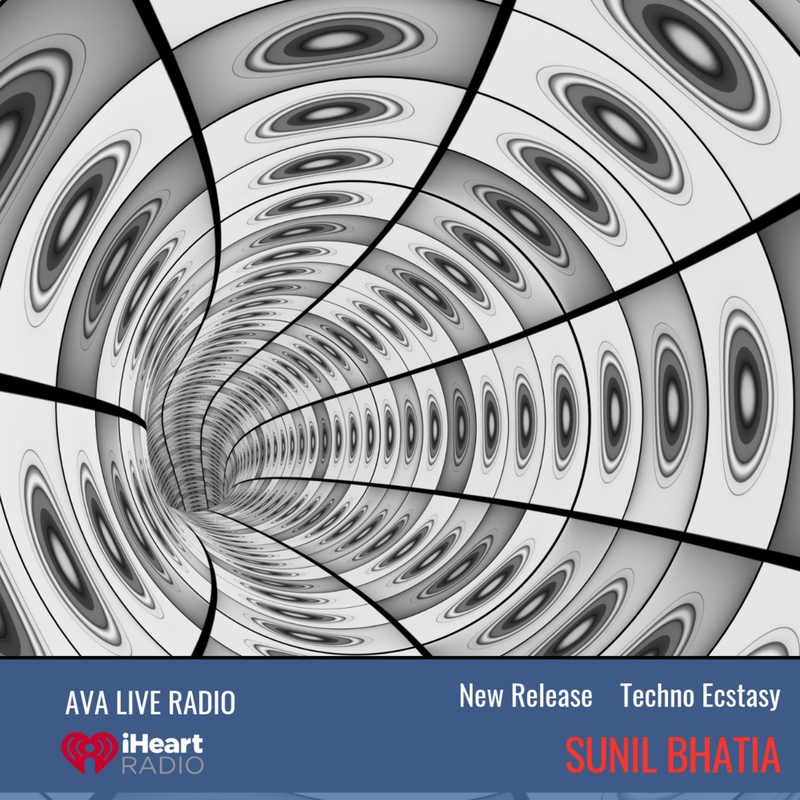 Genres vary from Electronica, Progressive House, Techno, Trance, Dark Electro, Dubstep, Ambient and Experimental. Westworld is released ackzz's 6th Album titled Metaphysics available as a digital download at most popular online retailers and subscription based streaming services. Also available on Soundcloud and Youtube. HYPERSLEEP EP is a collection of tracks from the Unknown rapper Ben Caution. Ben delves in the deepest darkest corners of his mind for this EP. Drawing on past dark experiences, political, world views, and trademark lyrical penmanship and wordplay. Inks an EP that sounds like a 80s sci fi horror flick that surely wont dissapoint alternative rap fans. I love creating music because it makes me feel free to truely express whats going on inside me. Sailin’ is song that relates to me personally because, being in highschool, there are girls who don't like me back all the time. So I wanted to make a song about trying to stay humble and dance even through the rough times of love. Keeping everyone positive. I've been writing and producing my music since the 9th grade, four years later, and I've learned the reason I love to make music is because you have a chance to shed light on your own creativity that can only come from you. For example, if you gave five different people all the same music equipment, same music program, same instrrments, etc. None of them are going to produce the same song. It's so cool to hear what's going on in someone else head and feeling their emotions that could have connection to there own life. Creating music is putting pieces of ourselves to create love itself. That's why I love creating music. I wanted to created music like no one ever heard before and I wanted to inspired people . The song Candy is talking about someone special that I love at first sight and its a true story. When I first lay my eyes on her i just knew she was the one made for me. After one day that I saw her, I couldn't help myself but to keep coming to her job to see her and to work my way up to get her number. She ended up being my wife. I think of her as candy cause she is so sweet inside and out. Also I do love candy in general. My favorite candy is Gummy Bears. The song puts you in the mind of a candy store .